Put it in the Books - S1 E15 - Open for Business? 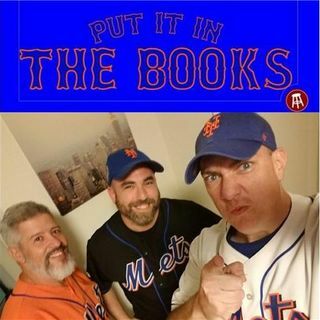 Steve, Keith and Rodriguez are back at it with episode #13 of Put it in the Books! Here are just some of the topics for this week! - Shout-out to Sandy Alderson – get better soon! - Is it time to say that the CallaWAY isn’t working? - Time to open up shop? Who gets moved? What are the Mets looking to accomplish? - Cespedes, Bruce, Thor - have they become irrelevant? Noah 18 starts since start of 17’ season. - Will the Captain play this year? - Around the Minors – Tebow heating up – Alonso top 1st baseman prospect. - Who will the Mets look to move first if they are sellers? d. Path to big leagues - AA to Majors ? AAA to majors ? f. Implementation - Can Mgmt. do it ?